Glide over the myriad landscapes of one of the largest forts in Rajasthan- the Mehrangarh Fort in Jodhpur. Over the course of our zip line tour in Jodhpur, what you get is a sensational new perspective on the magnificent Mehrangarh Fort. Fly high over the outer battlements of Rajasthan's most majestic fortress, glide serenely over two desert lakes, trek through the Rao Jodha eco-park and enjoy the best view of Mehrangarh and the Blue City of Jodhpur. With Flying Fox, you get to see the view that most tourists miss! 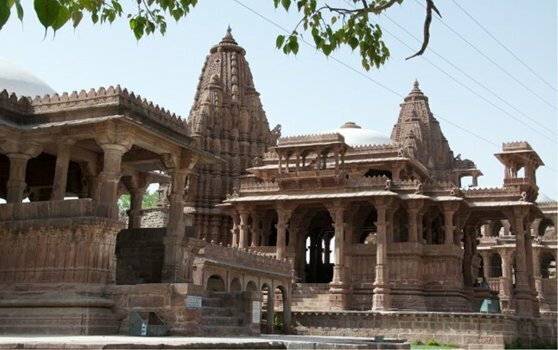 Flying Fox Jodhpur is located inside the fort in the beautiful Chokelao Gardens. If you have pre-booked your zip tour entry to the fort ( Not the fort museum ) and the garden is free. To find us follow the signs or ask any fort security guard/member of staff and they'll point you in the right direction.